Miller Auctions is presenting a lifetime collection put together over 70 years, of coins and currency with an incredible assortment of 250 lots to chose from. This auction is completely unreserved and all pieces will sell to the highest bidder. The catalog includes Canadian coins and paper money, Canadian gold coins, pre 1900 coins, US coins and banknotes, and a selection of California gold dollars. 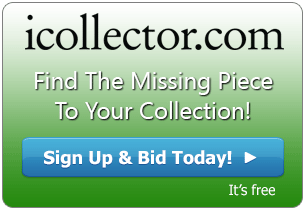 Bidding is available on auction day through iCollector.com and the online catalog is available for review and absentee bidding. 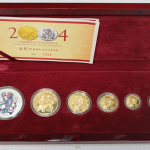 The auction starts off with a run of Canadian 50 cent pieces opening at Lot 1 and heading to Lot 27. Each Lot has two 50 Cent pieces up for bidding at one money. There are various date ranges from as early as 1904 and into the 1960’s and 1970’s. Later in the sale, at Lot 93 is the highlighted 50 Cent piece of the auction. This is an 1890H Canada 50 Cents Obverse 4 piece. It comes with ICCS certification number GH 116 VG-10. Bidding is opening at $2300 on this featured coin with an estimate of $4600. There are many great silver dollars in the auction up for grabs. 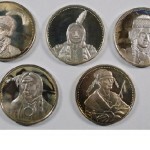 A selection of Canadian Silver Dollars are up for display at lots 30 to 56. 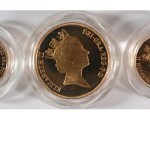 Each dollar is an individual piece up for sale and dates range from the 1930’s to the 1960’s. Later at Lot 120 is the feature piece of the silver dollars, a 1948 Canada Silver Dollar with an opening bid of $800. This carries ICCS Certification No GH 118 AU50, and has a pre sale estimate of $1600. The renowned “Devil’s Face” banknotes show their presence with 5 Lots showing from Lot 72 to 76. Each one is a 1954 Canadian 50 Dollar Bill ready to be shipped to the winning bidder. With no reserves these will go fast. 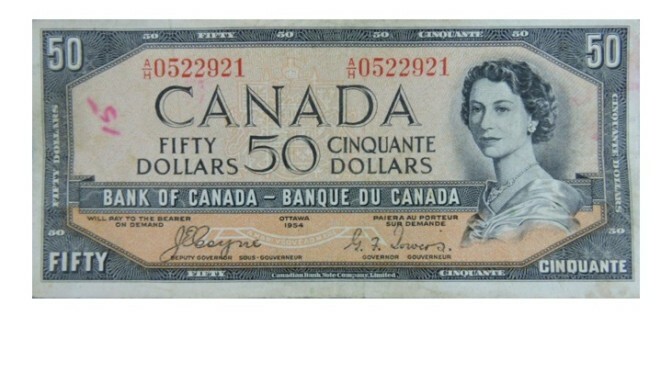 Continuing with 50 Dollar Bills, Lots 81 to 90 have a selection of 1937 Canadian Dollar Bills ready for bidding. Each one has been carefully collected over a lifetime of passion, and many are in great condition. Lot 174 is an especially important lot as it presents a sequence of 10 1954 Canada 50 Dollar Bills with estimated grades from EF to UNC. This lot is opening for only $500. 10 Cents are open for auction later in the sale through Lots 189 to 200. There is a 1946, 1936, and 1935 up for grabs in the first three lots. Lot 192 provides opportunity to fetch a 1903H Canadian 10 Cent, and Lot 193 offers a 1902 Canadian 10 Cent. There is also an 1885 Obverse 5 coin worthy of note at Lot 195 and Lots 196 to 200 are all pre 1900 coins available from this collection. Lot 197 is the highlight of the collection of 10 Cent pieces and it is an 1883H graded MS-60 from ICCS. It can be had with an opening bid of $1000 and is estimated to be $1900 in value. 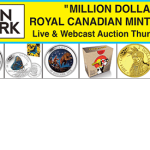 This auction also includes Canadian 25 Cent selections, $100 Gold Proofs, and some quality California Gold coins. All items in this entire sale will sell to the highest bidder regardless of price. This is a great place to pick up great deals and values while celebrating a collection built over 70 years. The live bidding action begins at 10AM Central Time, on Sunday November 29th, from Miller Auctions in Brandon, Manitoba.